The Cinderella Project of Maine developed out of something girls have been doing since they began wearing dresses to formal events. In high school, one of our founders, Mandie Sawyer, used to swap prom dresses with her friends so they wouldn’t have to wear the same dress when they attended their boyfriends’ proms at a rival school. As the oldest of six girls, she always swapped clothes, shoes, dresses, and jewelry, and still does…even to this day. When she heard about the Cinderella Project of Maine, it seemed like a natural fit for what she loved to do. High school students want so much to look and feel beautiful on the one day of their high school prom–but do you know how much it costs? With new dresses, shoes and accessories (not to mention hair and makeup) averaging around $400-$500, this is not something that most students can afford. So what’s their option, not go? Nope, because where there’s a wand, there’s a way! In 2006, Mandie met with two other women in Belfast, Jessica Jones and Martha Bjelland, who were trying to get the Cinderella Project of Maine off the ground. They recruited Amy Boucher and started soliciting dresses from everyone they knew. 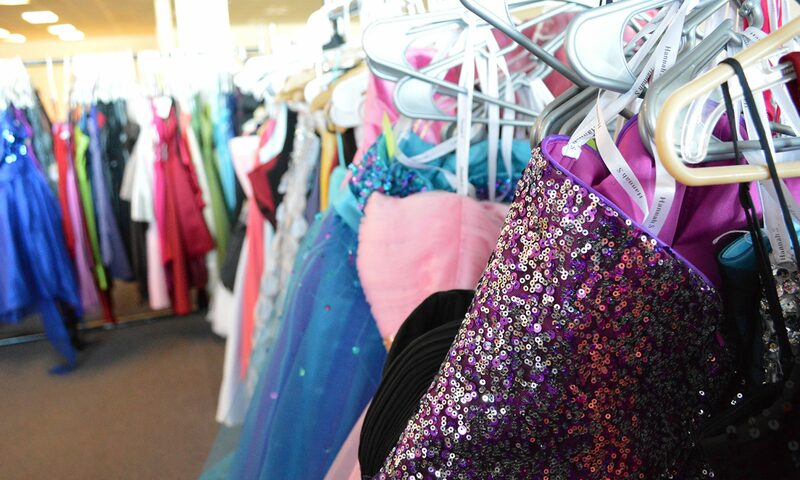 That first year, they had more volunteers than students, but they still gave away 13 dresses. The next year in 2007, Jessica and Martha moved on from the project, so Amy and Mandie worked on recruiting new fairy godmothers to keep the Cinderella Project of Maine alive. In 2009, Waldo Community Action Partners took on the Cinderella Project of Maine as a new initiative and the project grew to give away over 200 dresses each year to girls all over the state. Then, in 2014, a teacher at Gardiner Area High School named Meg Gipson met with our team and decided to spearhead a branch of the Cinderella Project of Maine in Gardiner.